I’ve been thinking a bit recently about how to help my teams approach career planning through their personal and professional development goals. Many people get stuck in the idea that their career progression is determined by the configuration of the role they’re currently in and the opportunities that are available within the organisation that they work at. The problem with this is that they are then confined to how their role is structured in that organisation, and the opportunities for growth within that context only. Don’t get me wrong. For most people, that probably is the most useful and meaningful approach for career growth, especially if they’re following a linear career path (i.e. growth within a single profession). But it’s also a good idea to broaden your horizons and think about your role and career from an industry-benchmark perspective. In this post, I’ll focus on the first aspect – how to think about adding new skills and improving on the ones you already have relative to your profession. At this point, it’s a good idea to take a few steps back and look at the bigger picture. There are probably three levels to think about. 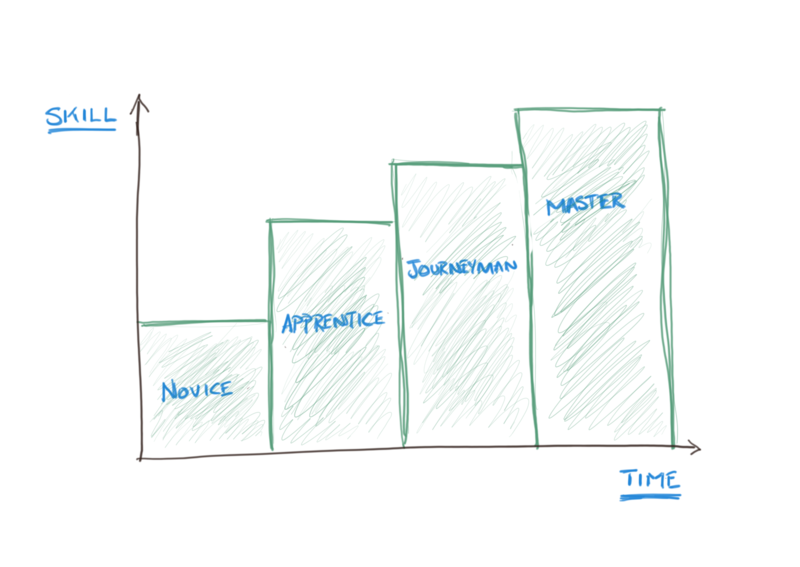 At the highest level, there is the Craftsman model, which generically outlines a path to mastery within a discipline. 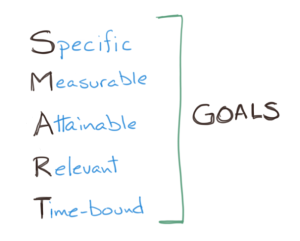 At the most granular level, there are SMART goals, which enable the setting of trackable and achievable short-term outcomes. 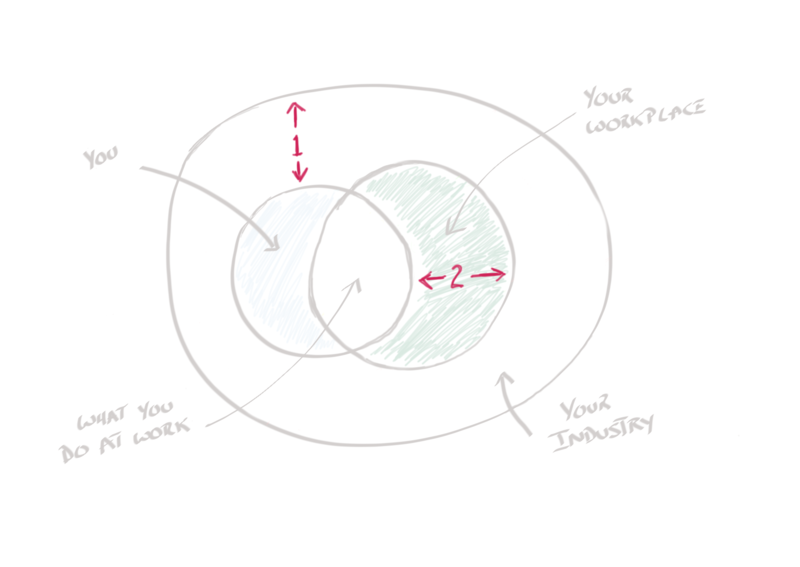 The perimeter of the outer circle indicates two things: the composition of skills and behaviours that make up a profession (what and how you should be able to do) and mastery of those things (how good you are doing them). Could this visualisation be depicted differently? Sure, but it gets complicated quickly, and remember: models are simplifications of the messy realities of life so we can get started on doing stuff instead of just thinking about it. 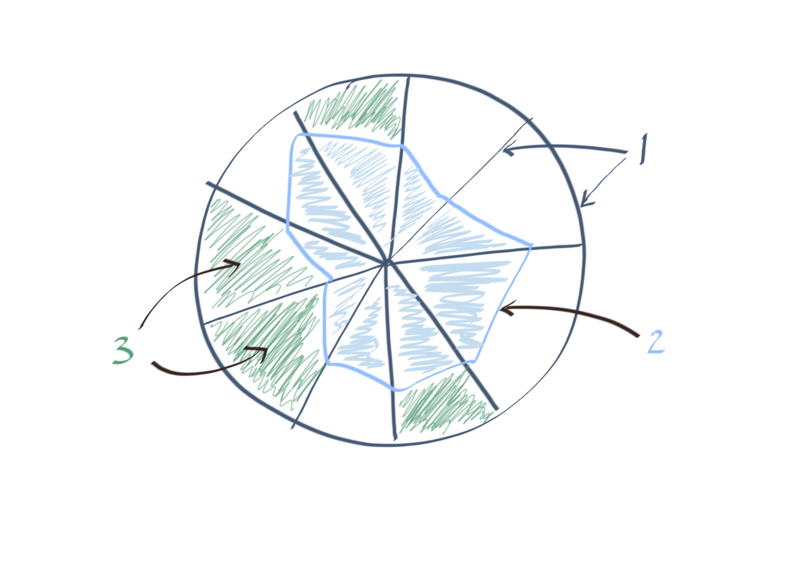 Using the three steps outlined above, here’s an overview of a possible approach. 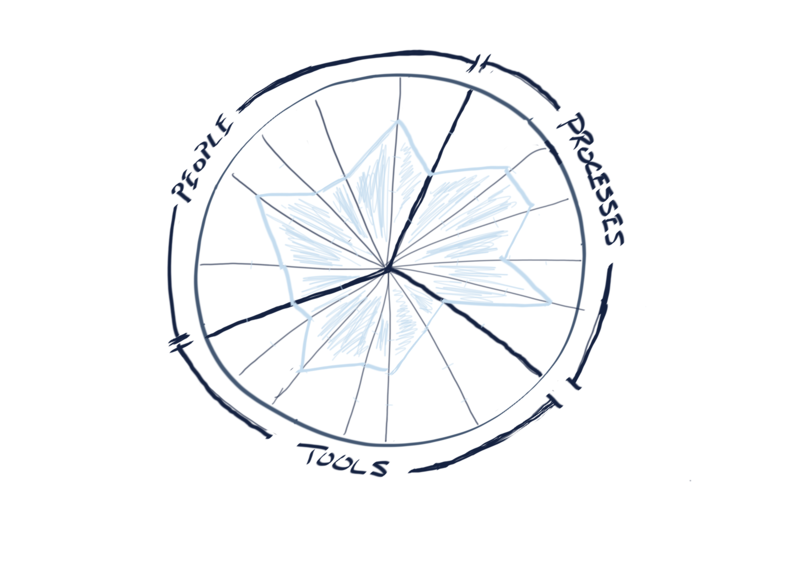 Tools: what are the skills required in terms of core tools and knowledge to be really good at what you do? 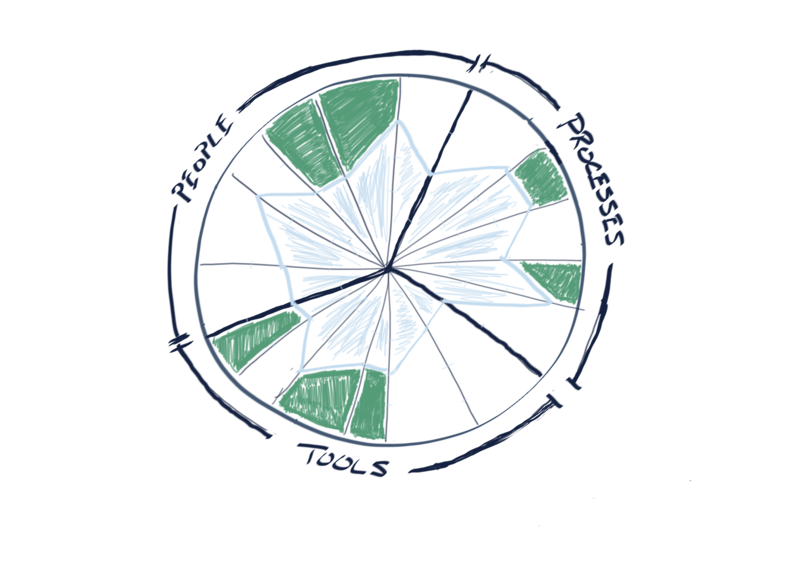 People: what are the skills required to work with, influence or manage yourself and others? 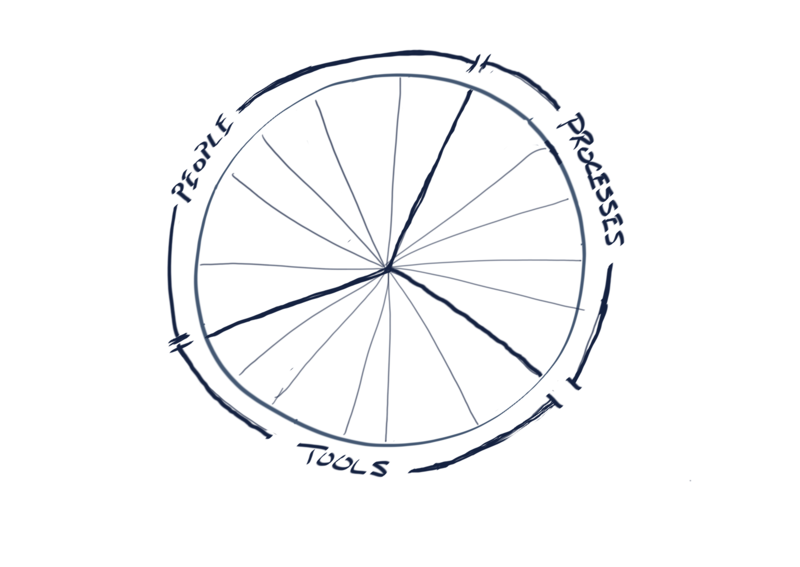 Processes: what are the skills required to get your work done in the most effective and efficient way? Use these three broad categories to brainstorm and research what constitutes capability in your profession. There’s no right or wrong answer here – just think of as many things as you can and add them to your list. If something feels like it might belong to more than one category, don’t worry about it and just stick it in one. Also, don’t worry about having an equal number in each category. Finally, have a look at the areas which have gaps between where you are and where you would like to be. It’s a good idea to pick ones which you might be able to apply in the immediate or near future and would have a positive impact to both you and others that you work with. Then, for the areas and skills you have selected, figure out what needs to be achieved in order to move up a level. Remember, this doesn’t need to be a whole level, but could just be an incremental increase in ability. For some things, moving a whole level can take years. 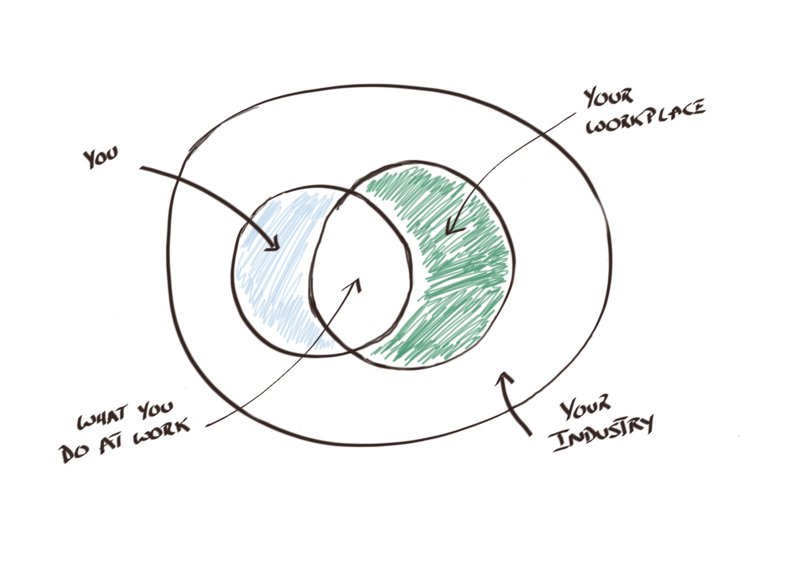 So there you have it – a relatively simple career planning framework that can get you started. Remember, this is just one of many approaches that you can take to structure your thoughts, and many of the steps can be tweaked to better fit your situation. If you’ve got ideas that can improve this one, I’d love to hear about them (in the comments or via email).